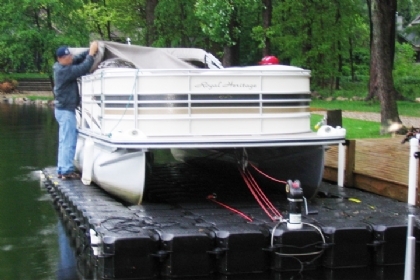 Call us at 1-800-538-3625 to speak with a knowledgeable Jet Dock representative. 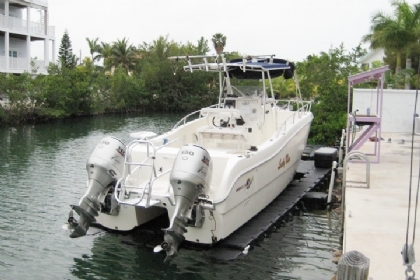 JetDock’s Catamaran Boat Lifts are ideal for beginner and experienced boaters. They’re maintenance free lifts with no moving parts and do not require electricity to operate. 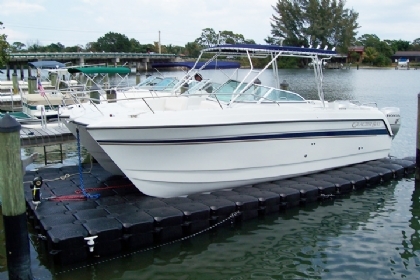 Our catamaran boat lifts can hold watercrafts up to 30’ long and 8000 lbs. These boat lifts are great for inboard, outboard and even PWCs. Our catamaran lifts are specifically designed to work in any water levels, with or without an existing structure present. Best of all, they’re portable, require no electricity, they're expandable and include a limited lifetime warranty for your peace of mind. The exact design of your new Catamaran Boat Lift will be determined by the distance on center between the hulls . 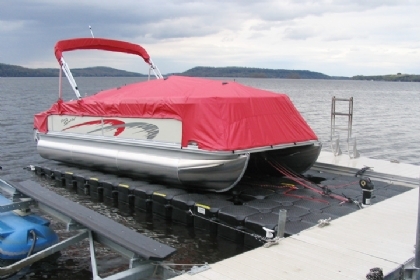 With our catamaran boat lifts, we include everything you need for easy installation, including winch, fasteners, launch systems, structural beams, and more. 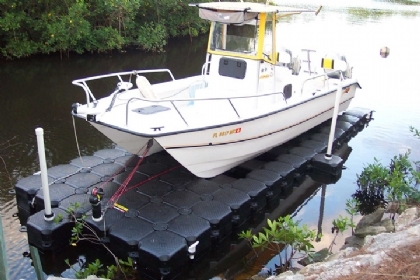 Air-assisted packages can be added to our systems for pontoon boats and catamarans for overall ease of use. For more information, exact dock design, or help ordering, check out our dock finder tool.